Missing “LEGO Girl” Heather Braaten has been found dead. The LEGO community mourns her loss. Heather Nicole Braaten...you are loved, a photo by Lino M on Flickr. 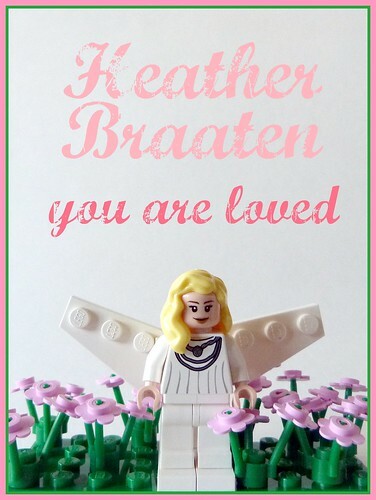 I never knew her well, but Heather “LEGO Girl” Braaten was a fixture in the Seattle LEGO community and a regular at BrickCon. She went missing last week, and her body has been found. Lino Martins created this tribute image for her and is in touch with her family.